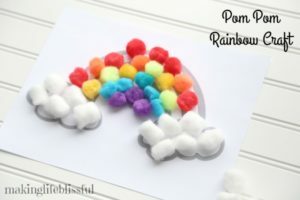 Rainbow craft ideas for kids. Rainbow kids crafts with free printable. Rainbow crafts for St. Patrick’s Day, spring crafts for kids, or summer rainbow crafts too!